Today, an exhibition in The Hague, called After Neurath: Like sailors on the open sea. It is about the Austrian philosopher Otto Neurath, an influence on twentieth century artists including Gerd Arntz. Gerd Arntz and his colleagues made influential visual statistics and icons, including simple human figures on traffic lights, toilet doors, etc. At this exhibition, one exhibit made a visual statistic comparison between the paintings of Rubens and Rembrandt. Rembrandt admired the older Rubens, and bought a painting by him. Both Rembrandt and Rubens are often seen as baroque painters, influenced by earlier Italian examples. They spoke the same language, Dutch, and lived in what was still seen as the seventeen united provinces of the Low Countries. With both the bourgeois republicans who in Rembrandt’s and Rubens‘ days ruled the north, and the Habsburg monarchs who ruled the south, at least initially still hoping to unite all seventeen provinces under their own rule. Nevertheless, the statistics of the various categories of subjects in Rubens’ and Rembrandt’s artistic productions show significant differences between the two artists. Differences in artistic views between two individuals, doubtlessly. But also differences showing how different socially and politically Rubens’ South and Rembrandt’s North had become since the Dutch revolt against the Roman Catholic Spanish absolute monarchy had started in the 1560s. This video is called The Night Watch by Rembrandt van Rijn (Part I). And here is Part II. I unfortunately cannot reproduce the icons in the The Hague exhibit for the different categories of paintings here. While Rubens was originally from a Protestant, rebel, and refugee Antwerp family, and made his peace with the Roman Catholic Church and the monarchy later, Rembrandt’s views are closer to the republican Dutch revolt. The figures show that Rembrandt, contrary to Rubens, made zero altar paintings. In the northern low countries, the newly established Protestant church did not commission them. Neither did the Roman Catholic church, now on the margins of legality. If we put both Christian religious categories together, 20% of Rembrandt’s paintings fitted in the “Christian” category, vs. 35% of Rubens’. Rembrandt himself was not an official member of any church, and was free to do that in “tolerant” Amsterdam. The Bible was interesting to him as a source of subjects, but over all, religion did not play as big a role in his work as in Rubens’. Rembrandt painted far less historical and mythological paintings than Rubens. In countries other than the Dutch Republic, these types of paintings often made complimentary allusions to contemporary princes and nobles, and/or were often commissioned by them. In The Netherlands, there was no monarchical court comparable to this. There was only the Stadhouder‘s court. Which would have liked very much to be a princely court like elsewhere in Europe; but constitutionally wasn’t. Rembrandt got one commission from the princely court (princely, as the Stadhouders were also absolute monarchs in the tiny statelet of Orange in southern France). But when his portrait of Princess Amalia von Solms turned out to be not flattering enough, he never got a commission from that court again. However, if compared to Rubens, Rembrandt did paint many more portraits. Not commissioned by princes or nobles, but by the newly emerged bourgeoisie. Dutch art historian Bert Biemans who studied the economic side of seventeenth century Dutch art, estimates that a million paintings were painted then in the Netherlands. Many, compared to other countries then. As the Dutch bourgeoisie who might buy art bought comparatively more than mainly upper class people in other countries. That Rembrandt painted so many more portraits than Rubens may be a sign of a stronger bourgeoisie; and of stronger individualism in the northern low countries. So may be the fact that Rubens did not paint any self-portrait, while Rembrandt painted many; though there are various theories on Rembrandt’s self-portraits. As for scenes from daily life, and landscapes, lumped together here as relatively small categories for both painters: this may show Rubens, and especially Rembrandt, as painters, different from their contemporaries. Both types of paintings were popular in the Dutch bourgeois art market, and many painters specialized in them. Including, eg, Jan Steen in genre painting. Landscape painting may have become popular, as the Dutch Republic was one of the most densely populated and, pre machine, industrialized areas of Europe, creating a market for painted idyllic counterweights. Some Dutch seventeenth century landscape painters specialized in special types of landscapes, like frozen canals and rivers in winter. Though Rembrandt was born close to the Rhine river, where, as we know from other painters, in many winters, usually more severe in the seventeenth century than now, many citizens of Leiden came for skating, he seems to not have liked winter and skating. As of all his paintings, only one is a winter scene. There are still some 1500 Rubens paintings left, vs. 300 by Rebrandt and 36 by Vermeer. That is because Rubens had a workshop where many pupils did much of the painting. On Rembrandt, John Berger, and Hadjinicolau: here. Pierre Bourdieu and art: here. Rubens’ imposing art couldn’t dazzle Europe’s Reformation. 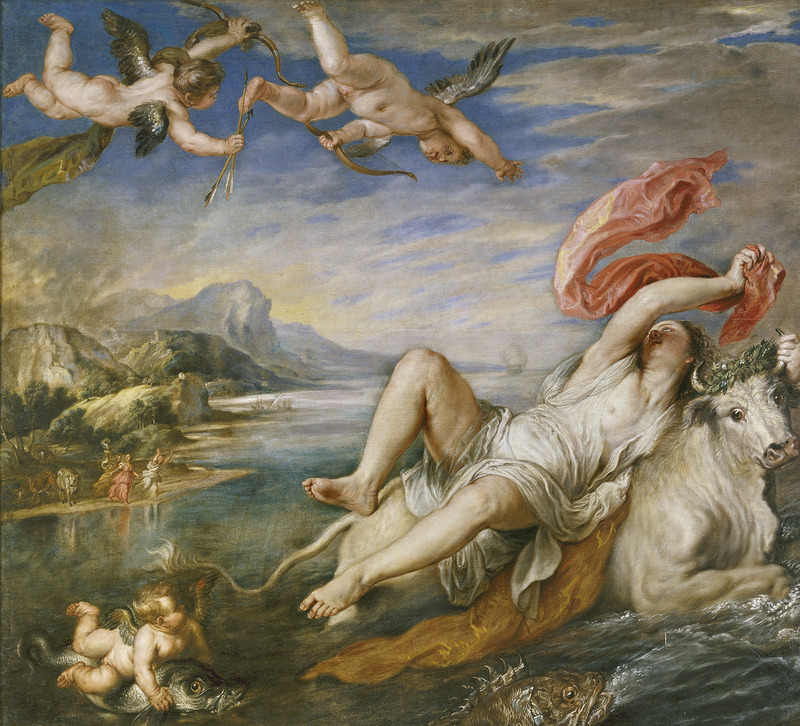 The Royal Academy is hosting an exhibition on Peter Paul Rubens. His art celebrated wealth and power in the face of Reformation, argues Noel Halifax: here. This entry was posted in Economic, social, trade union, etc., Politics, Visual arts and tagged Belgium, history, Netherlands, Rembrandt, Rubens by petrel41. Bookmark the permalink. A lot of great material, it was an excellent read and I enjoyed the knowledge you passed on. I hope that you have a great weekend. This is a very good article filled with excellent history knowledge and several excellent pictures. Pingback: Blog-aholic Award, thanks Quixote’s Kid and Dear Kitty! – Schwein gehabt?